Permit fishing with attitude. With a day off I invited my friend John to go fish with me. 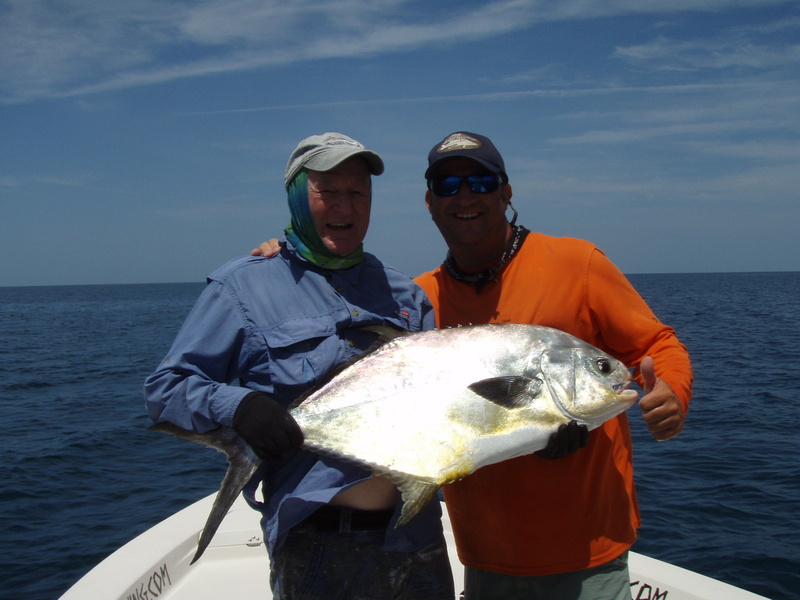 We headed down to Ft. Pierce to fish around the boils. I had Crabs and Croakers ready to go. The weather was nice, a little south wind but was very light. We caught a handful of Mutton Snapper that were around 18 inches. 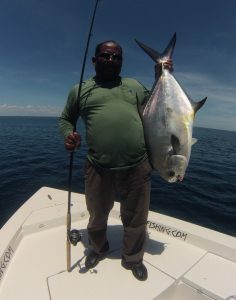 We also caught 6 Permit between the two of us. John caught a big Snook and a cobia that was just short. It was a very productive day. Lots of fun to just go fish with a good friend. Plus some good eats to bring home. 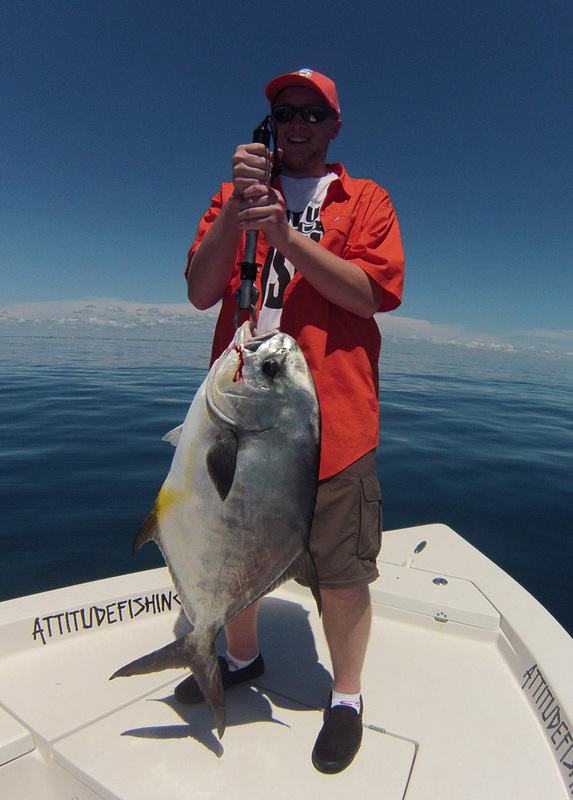 Permit fishing aboard the Attitude Adjustment. It is that time of year again! The weather was nice in the morning. The winds picked up around 11 a.m. 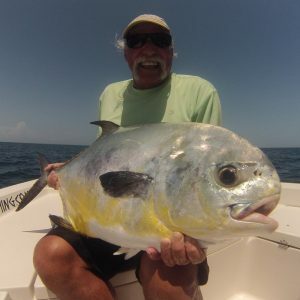 The bite also happened at 11 when Taylor hooked up and landed a nice Permit. The winds were starting to blow pretty hard S.E. so we decided to call it quits and head back in before it was to rough. It was a short and sweet trip. 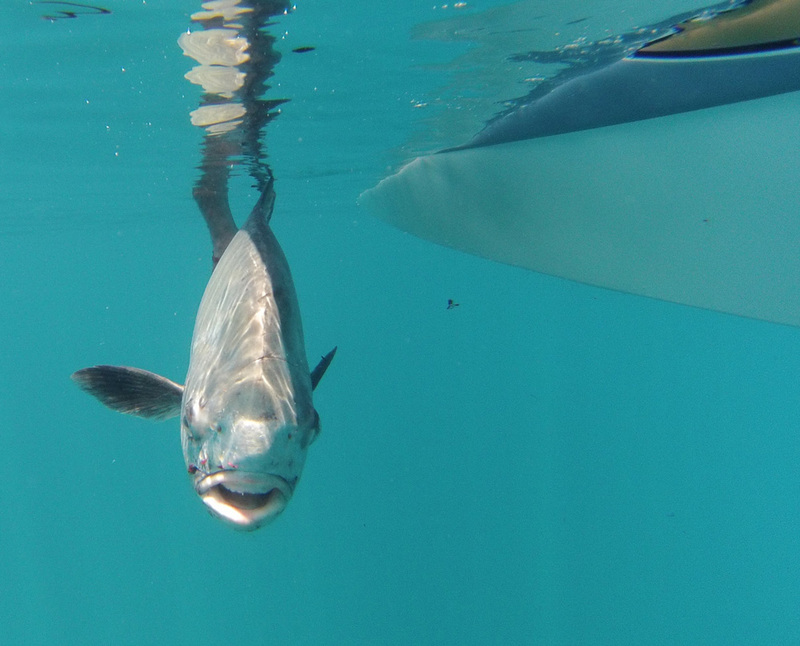 As soon as the weather straightens up it is time to do some Permit fishing. Thursday, 8/21/14 8 a.m. to 2 p.m.
Bob and Claudia were interested in trying there luck and skill on Permit. We met up in the morning at the Inlet Marina. We stopped in the Inlet and netted a few crabs for bait. The weather was perfect, sunny and calm. Once we arrived at the spot and started fishing we had a few good bites. We lost a good Snook and caught a good Snook. We also had a Goliath have his way. Claudia caught a nice size Sheephead. The current switched a bit and we had to reposition our anchor. The bite was slow for the next couple of hours. Then finally Bob’s Permit bite came and he did a good job of getting to the rod and setting the hook. For the next 20 mins. 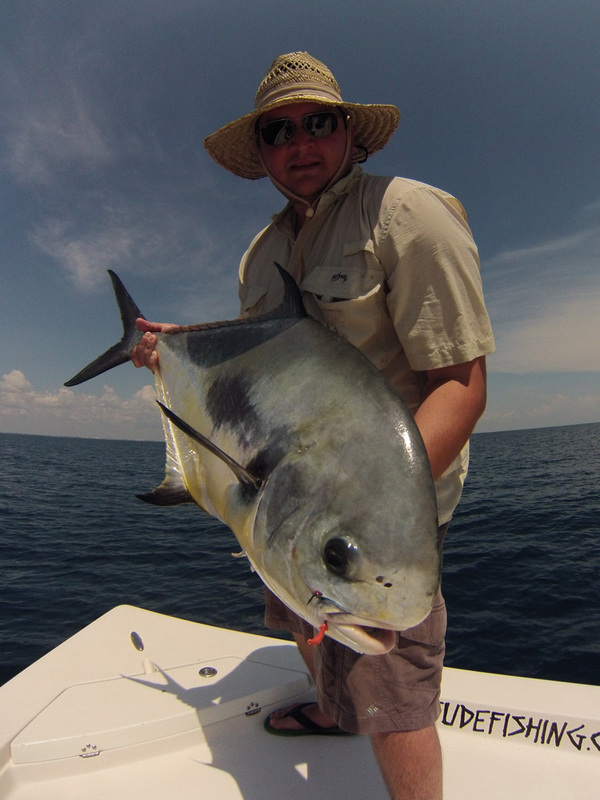 the Permit made several runs before I was able to put a net on it. It was 29lbs. A solid fish and a very memorable catch. Thanks Bob and Claudia, it was a pleasure to meet and fish with you. I hope you enjoy all the fresh fish! 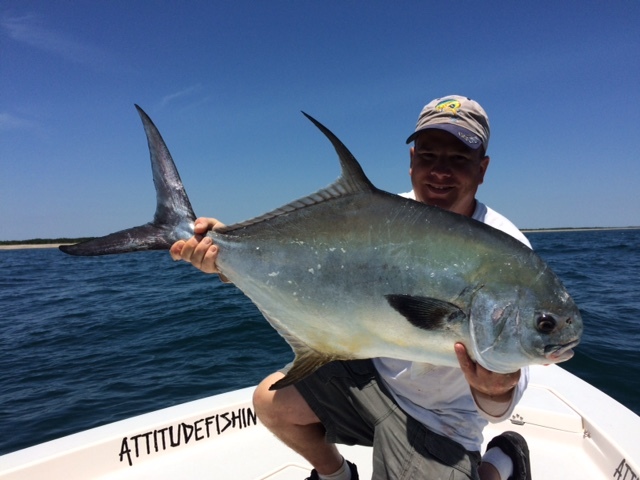 Thursday, 7/31/14 7 a.m. to 2 p.m.
Another great day aboard the Attitude Adjustment. Edgar is From Texas and has fished with me a few times in the past. Weather was nice. The tide was outgoing in the morning till about 9 a.m. We scooped up some crabs in the morning and headed to the Permit spot. The bite was a little slow for the first hour. Then it happened and Edgar hooked up his first Permit. 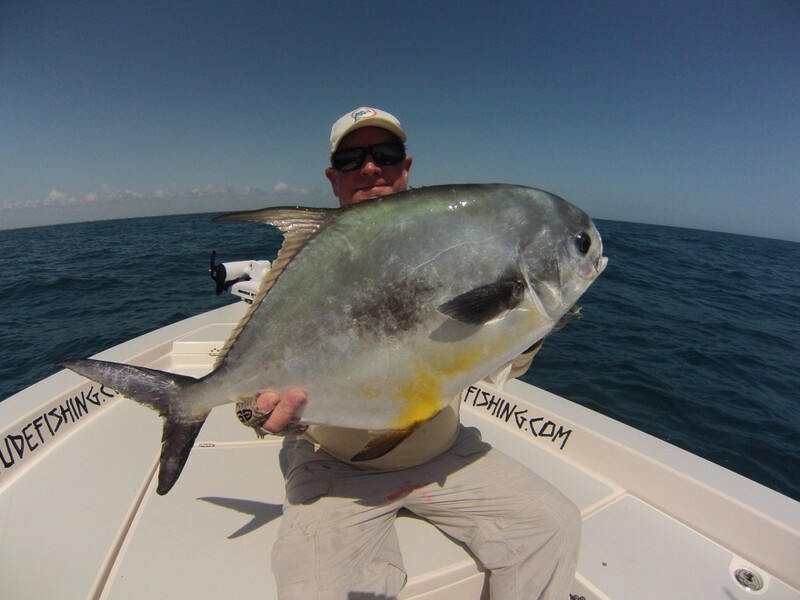 He did a great job of fighting it and landed his first Permit ever which was 24lbs. We missed a few more because of bad line(my bad). Then he got his second Permit which was around 15lbs. 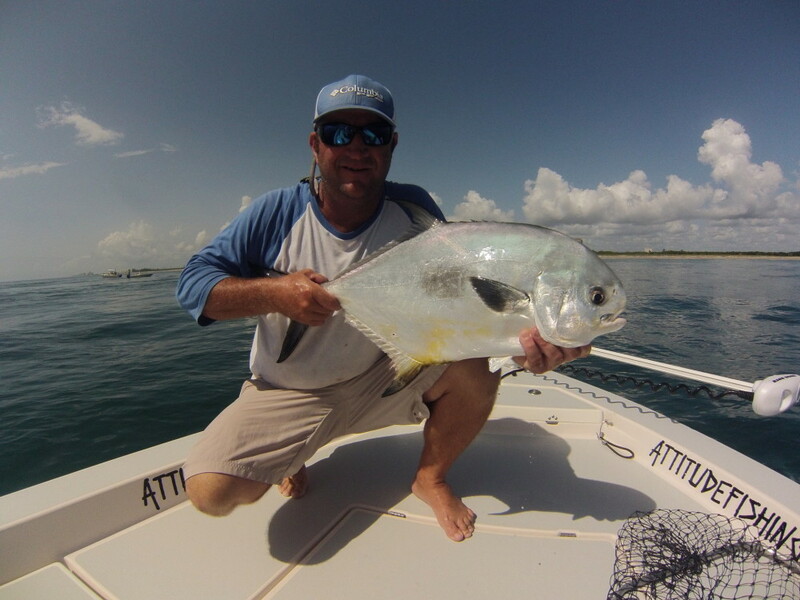 With the winds picking up we decided to head back to the Sebastian Inlet. Thanks Edgar, for fishing with me again it was a pleasure. Hope you enjoy your cook-out. Tuesday 6/17/14 and Wednesday 6/18/14 7 a.m. to 3 p.m.
Chris and Dean fished with me last year. We had a great Snook bite last year. This year it was time to try something different. We fished the past two days. The weather has been decent in the mornings. Rain storms in the afternoon has pushed us in a little early. The first day we went bottom fishing. The bite was decent but we were just having one of those days. They caught a few nice fish and lost a few more. Wednesday we went Permit fishing. Thankfully the day went much better. 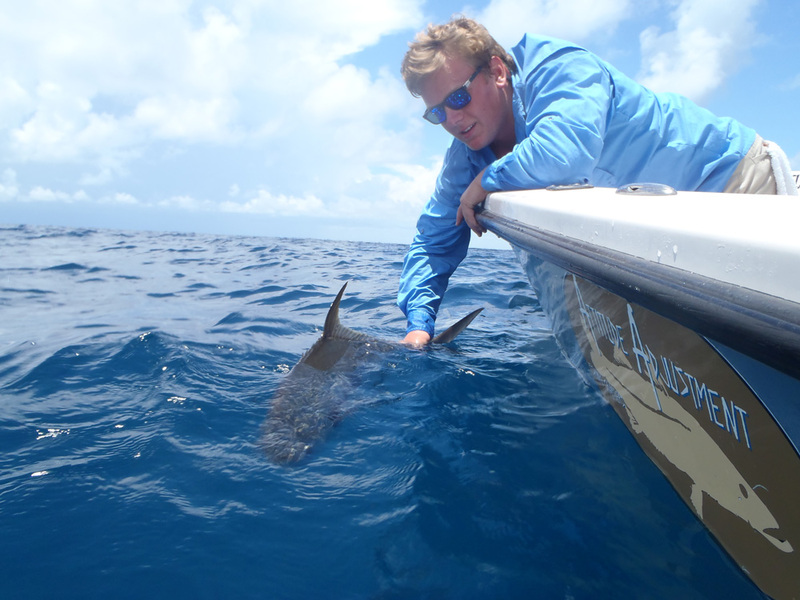 Dean started off with a hot hand, landing the first two Permit. Dean got a nice Sheepshead and also landed a couple of Permit. Dean had the biggest of the day which went 20lbs. It was a good couple of days of fishing with two cool guys. Thanks Chris and Dean it was a pleasure fishing with you again. Friday, 5/23/14 7 a.m. to 3 p.m. It was a perfect day to be out on the ocean. Shevy his wife Ann, and her dad Dave have been out with me before. Shevy wanted to fish something different this year. I decided to take him Permit fishing. We had perfect conditions. We caught three, well Ann caught 3… Thanks again Shevy, Ann, and Dave it was a blast of a day. sorry it took so long to get pics up.